If you are interested in adopting from Texas Rustlers, please complete and submit the Adoption Application below. It should take approximately 15 minutes to complete. Due to technical glitches, an application will occasionally not make it to us. Please email us at theguineapigrescue@yahoo.com to let us know that you have submitted an application so we can be on the lookout for it. What animal(s) are you interested in adopting? Please list all people who live in your household, including family, roommates, students, etc. Please include ages, relationship to you and if they will be involved in the animals' care. Are you looking for a companion for an existing animal? If Yes, what gender(s) do you currently have? 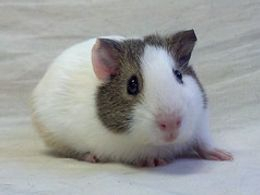 If you currently have a guinea pig, please describe their current diet and care, including frequency of feedings, bedding, etc. Please list all other pets in the household and include as much detail as possible, including how long you have had them. How much money per week are you willing to budget to care for your new pet? Are you willing to take your new pet for an annual checkup? How much money are you willing to spend in a medical emergency? Have you purchased a cage yet? Where will your cage be located? If Yes, how will your pet(s) be protected from the smoke? If you Rent, have you confirmed that you are allowed to keep pets? Do you anticipate moving soon? What temperature range do you normally keep your home in Winter? 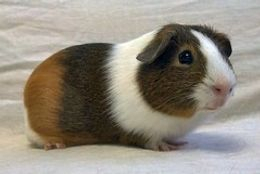 Have you ever owned guinea pigs / rabbits / hamsters / gerbils / rats before? Have you ever had to surrender an animal for any reason? Do any members of your family or household have any allergies, not just to pets? Would you like to breed your pet(s) now or in the future? How long have you been thinking about and searching for a new pet? 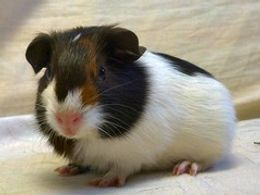 Are you willing to provide care for the entire natural life of your new pet (guinea pig: 5 - 7 years; rabbit: 10 - 12 years; hamsters / gerbils / rats: 2 - 3 years)? If you ever had to stop owning your adopted pet(s), what would you do with it / them? Thank you for your interest in adoption. It is our goal to respond to all applications within 14 days; however, we are all volunteers with full-time jobs and sometimes it takes us a little bit longer than that. 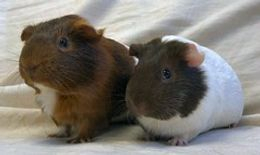 If you have not heard back from us within 4 days, please email us directly at theguineapigrescue@yahoo.com to inquire about your application.